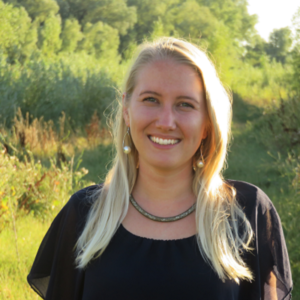 I’m Onnika van Oosterbosch and together with Ike Span I am the coordinator of Future For Nature. I spent many years living abroad and I have spent lots of time outside and caring for animals around me. It was one of Dr. Jane Goodall’s books that sparked my fascination for animal behaviour and inspired me to focus on nature conservation and improving animal welfare. 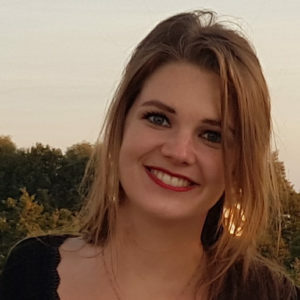 I studied Animal Sciences at Wageningen University & Research, and have worked and volunteered for a variety of nature and animal oriented organisations. Every year that I attended the FFN Awards I had tears in my eyes and felt inspired to do more. As soon as the Future For Nature Academystarted forming, I joined this young movement. I had the honour of organising the first Future For Nature Academy Day with almost all 30 FFN laureates in Wageningen in 2017. I believe that much of conservation involves education and inspiration, which is exactly what FFN shares. 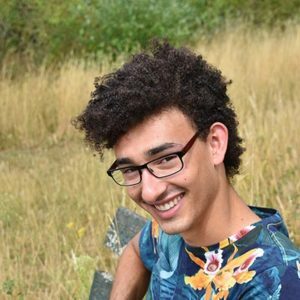 I’m Ike Span, and I’m a biologist with the drive to empower people by education and to inform them about nature, conservation and environmental issues so we can make our world a better place together, step by step. I worked as a volunteer on the FFN Kidsweek publications. In 2015 and 2016, we wrote several articles and about the Future For Nature winners for this weekly newspaper for children. I’m sure that their stories have inspired many young readers – the next generation conservationists. The year of 2018, I have taken on the role as coordinator and I’m mainly involved with the organisation of the year’s activities around the Award Event. I’m Linda Bloch. For over 20 years, I have watched documentaries about nature made by the BBC, and they increased my appreciation of nature, animals and plants tremendously. This made me realize I wanted one dream to become true: to visit Zimbabwe once in my life! I found a non-governmental game park, where I could contribute to protecting elephants and other animals. The Jane Goodall Institute Netherlands (JGI NL), supported me in discovering this game park. That is why I wanted to be a volunteer for JGI NL at Burgers’ Zoo. In my second year at JGI NL, I attended the Future For Nature Awards event: that was the moment I was lost. It gives me huge fulfilment to be a small part of this great foundation! It’s my task to assist our coordinators where ever I can. 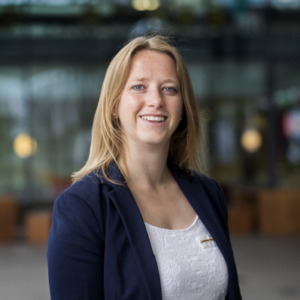 I’m Sophieke van Beek and I’m an Assistant Coordinator for Future For Nature. During my youth, my family and I lived in South-Africa for a couple of years. Throughout our stay in this beautiful country I came in contact with the wonders of Africa. Nature has intrigued me ever since. Currently, I’m studying Communication and Innovation at the Wageningen University & Research. I believe we can create a better world trough social change and innovation, and by bridging the gap between science and society. Working for Future For Nature is a great honour, I truly believe in that supporting young conservationists in their battle for a future for nature makes a difference. 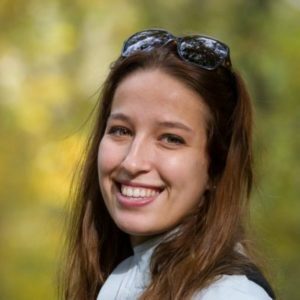 I am Françoise Winkels and I am an intern at Future For Nature. I currently study International Business and Languages at the HAN University of Applied Sciences in Nijmegen. My ambition for the future is to help make global companies and organisations more aware of their ecological footprint and help them realise the importance of conserving nature. I wanted to intern with Future For Nature because I believe the work they do is very important for the preservation of our planet. I am looking forward to contribute to and learn from this organisation. My name is Mira Meijer and ever since I can remember I’ve been an animal lover. As a little girl I would go around the neighborhood collecting money for nature conservation projects. I am currently working on my graduation project for the study in Media, Information and Communication. In this half-year I’ll support Future For Nature by making video’s explaining where Future For Nature stands for. I’m happy that I can combine my love for photography and video with promoting amazing conservation projects. I first heard about Future For Nature last year, when I was working at Burgers’ Zoo. There I had the chance to meet one of the winners of the Future For Nature Award (Trang) and was inspired by her and the other winners. I’m excited to be a part of the Future For Nature team and ready to be inspired by the winners of this years Future For Nature Award once more. I’m Gaëlla van Walraven and I’m a volunteer for this beautiful organisation. I’m responsible for the facebook account of Future For Nature. Ever since I was little, I have been crazy about animals and I have always wanted to care for them. I’m currently studying at Utrecht University to become a veterinarian. My passion for wildlife was fuelled when I first visited the Future For Nature event and met Saba Douglas Hamilton, chairwoman of the organisation. To hear her speak ignited a fire in me that filled me with inspiration and made me realise that we can make the change. And that’s what I want to achieve, by becoming a wildlife veterinarian. Future For Nature is important to me because it helps young conservationists in their struggle to protect what is most valuable: our planet. What is more beautiful than looking at the sun going down on the savannah and seeing the elephants slowly fading into the darkness? Is that not an image worth fighting for? I’m Hilmar Derksen, I study Biology at Wageningen UR and I am absolutely fascinated by animals -and nature in general-. I have always looked up to people like David Attenborough, Jane Goodall, Steve Irwin and Freek Vonk and admired their work in spreading passion for nature & conservation. Since my first visit to the Future For Nature Event in 2014, I’ve had an urge to be part of the next generation of nature conservationists. 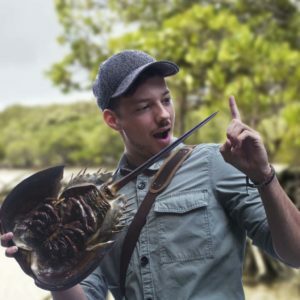 Since I’m still studying and bound to my books, I figured that I could start by doing what I like best, making video’s on youtube and passionately talking about nature’s wonders –BioVlogWild-, thus following in the footsteps of Freek Vonk, David Attenborough and Steve Irwin. This caught the eye of FFN and now it is my job to keep the website up to date. I am truly honoured to be part of this team and support the people that put in tremendous effort in preserving what is of so much importance to us, wildlife. My name is Mathijs Megens. Since I was little I’ve been passionate about plants, animals and all that’s living on our beautiful planet. The fact that the vast majority of natural wonders are threatened by irresponsible human activity breaks my heart and my life wouldn’t be complete if I didn’t get involved with nature conservation in one way or another. At the moment, I am studying forest and nature management at Van Hall Larenstein in Velp. My first introduction to conservation was in 2016, when I had the opportunity to get a work placement at FFN during the award show as part of my bilingual study. It was my first real experience with the conservation world and from that moment on I knew what I would become: a conservationist! So here I am, a proud volunteer of the Future For Nature Foundation! I am responsible for FFN’s Twitter and Instagram account and am honoured to be part of this wonderful and inspiring organization. I’m Sylvie Anne der Kinderen. 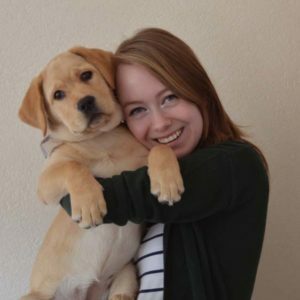 I have been obsessed with animals and nature ever since I was a kid; watching documentaries, reading books with as many facts as possible, I once started working on my own encyclopaedia… This combined with my inner desire to help out wherever I can led to a clear perspective of my future; I wanted to become a veterinarian and find a way to help change this world for the better. 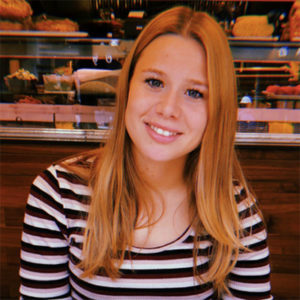 Last year I have obtained my bachelor’s degree in veterinary medicine and I am currently working towards my master’s degree at Utrecht University. My inspiration for joining this beautiful organisation was dr. Jane Goodall. 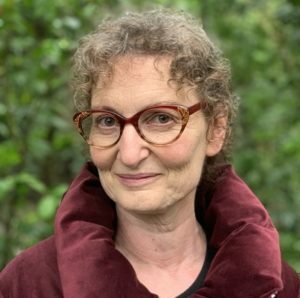 When I attended one of her lectures a few years ago, she mentioned the work that the Future For Nature foundation does and from that moment on I was sold. It is the positivity that she and all those other conservationists express that makes me believe we can create a brighter future, as long as we all work together! I’m Sofie te Wierik. 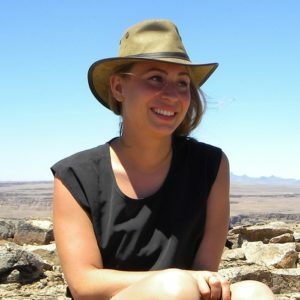 I studied Future Planet Studies at the University of Amsterdam and International Land and Water Management at Wageningen University. I am concerned about the future of our planet and all the challenges that we – as a society – face. In particular the relationship that humans have with nature appears challenging, as it has shown detrimental in too many places around the world. Yet I believe there is hope, as long as we are willing to change. Hence the aim of Future for Nature appeals to me so much – it inspires and empowers young people to take matter into their own hands and change the world around us to make it a better place – for people and the planet. 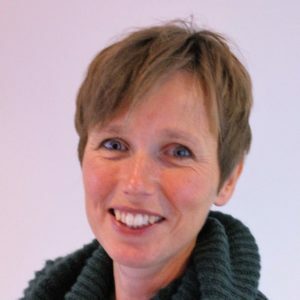 I’m Hilde de Laat and I work as press officer at the Technical University of Eindhoven. I studied biology at Wageningen University, and not surprisingly: I love nature! As a team of volunteers, we support the coordinators in organising the annual Future For Nature Award event. The moment when the lights dim at the start of the event is the most magical moment for me. The whole year, the team has worked towards this very special moment. To hear the winners give their speech on the big stage makes me so proud of them! I hope we will continue to be able to support many more conservation heroes.